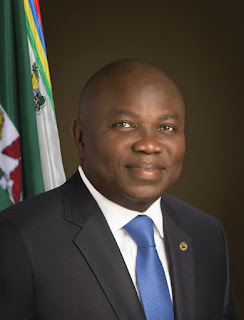 The Lagos State chapter of the Peoples Democratic Party has berated Governor Akinwunmi Ambode for “hastily” obtaining a N39.4bn loan from the World Bank. In a statement by its Publicity Secretary, Taofik Gani, on Sunday, the Lagos PDP advised the governor to rescind the decision to borrow pending the book check on all previously obtained loans in the state, especially by the last administration of ex-Governor Babatunde Fashola. The PDP also described Ambode “as weak to fight corruption and block leakages” in the state. “The party’s positions are on the heels of the reports of another World Bank loan and the recent announcement by the governor to scrap the state’s finance and administration department while renaming it administration and human resources department,” the statement said in part. “Why indeed will a state still run after a World Bank loan when such state realises an average of N27bn as monthly internally generated revenue? Governor Ambode should have a rethink and be prudent,” it said. The party also demanded for a detailed and public defence of the loan. It said, “Again we reiterate that this administration will not be different from the two previous administrations in the areas of amassing unwarranted loans and fighting corruption in the state. Governor Ambode does not have the will and cannot exert his authority to fight corruption in this state; otherwise all a governor should do in Lagos State is to block the leakages and the monthly IGR now standing at N27bn will definitely shove up.